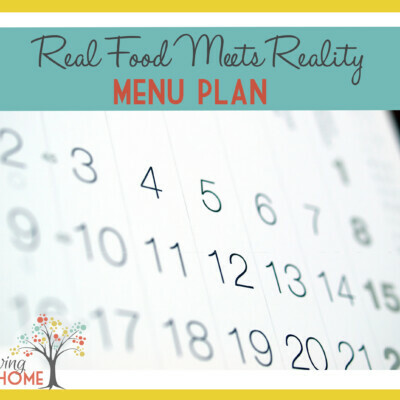 Guest post by Sarah from The Pajama Chef. You guys are going to love her and her recipe! She’s so sweet and has a real talent for really good food. Hey everyone! 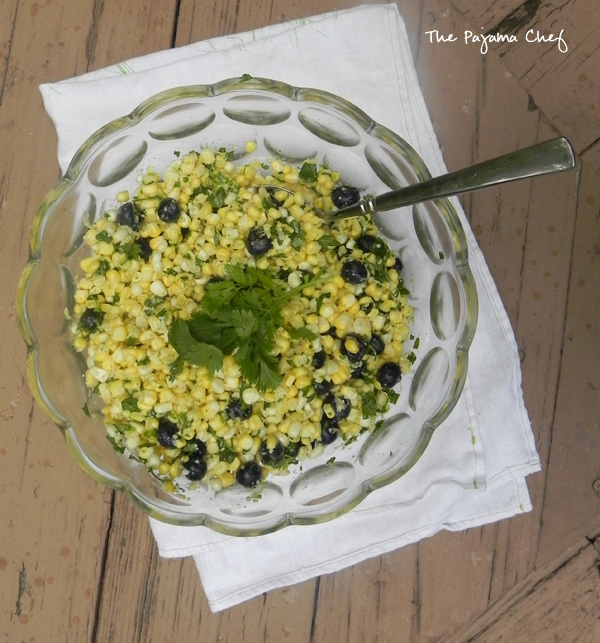 I’m so glad that Rachel and Polly asked me to guest post on Thriving Home today… and not only because I love their blog, but also so you can enjoy this AMAZING Corn and Blueberry Salad. 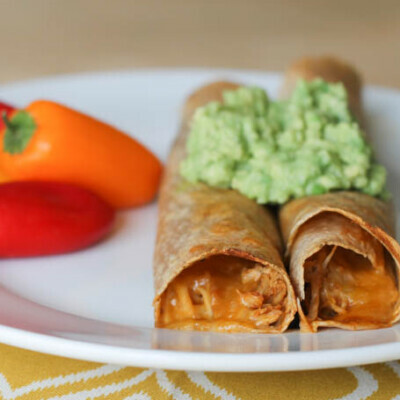 It’s easy, quick, and flavorful: three things necessary for summer recipes, right? Thank goodness summer produce is so wonderful! This salad uses some of my favorite flavors of summer to create a dish that’s made in just a few minutes with only SEVEN ingredients. The end result? 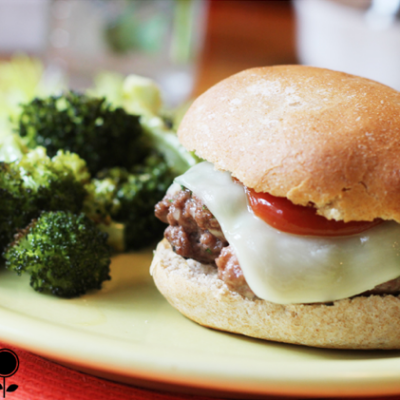 More time at the pool or the playground AND a great dinner. Win-win! Plus, this salad gets better as it sits, so it’s a good idea to make it ahead of time anyway. If you know me in person, then you know I love corn. I’m an Indiana girl, what can I say? 🙂 Even though I don’t think Tennessee (my current home) corn could ever compare, I’ll eat it. It’s a sacrifice, but I’ll do it for the corn goodness. HA! 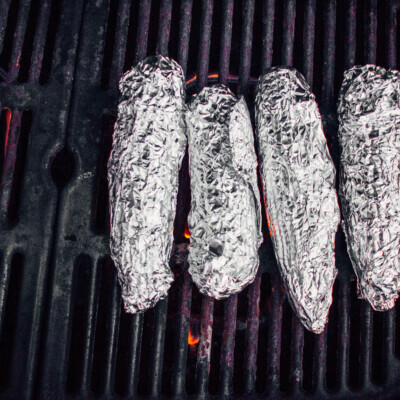 We love grilling corn, but sometimes eating it off the cob is simpler (and doesn’t come with that annoying crunching sound as everyone else you eat it). Plus, for a group, corn salad is mucho easier. When I made this salad, my husband’s family was in town, and it was the perfect side dish for a group BBQ. Although I will say… after I took one bite of this salad in the kitchen, I didn’t want to share. So make it for group events at your own risk! Wink, wink. But really, you should share… because this salad was SUCH a hit. You’ll be the kitchen hero, I promise. 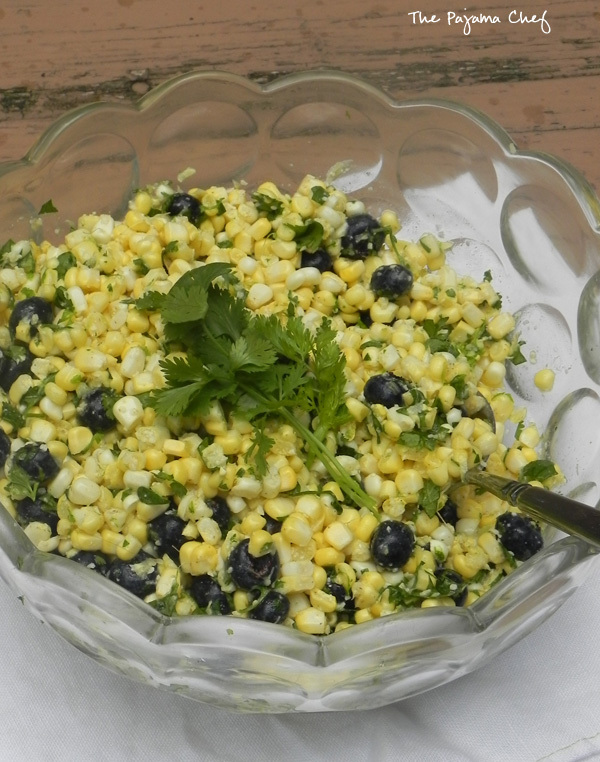 🙂 You can’t go wrong with the Mexican-inspired corn, lime, and cilantro combo, but what took the salad over the top was the bright sweetness of the blueberries (that we picked fresh earlier in the week!!!) and the surprise salty ‘n creamy addition of freshly grated Parmesan cheese. An easy mix of oil and vinegar brought the salad together. I used some fancy infused options, so if you have those on hand that’d be great. But if not, regular oil and vinegar would be absolutely fine. 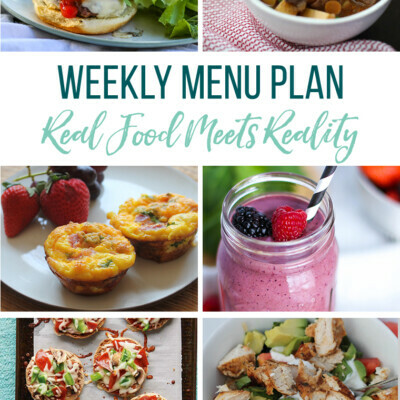 This salad was great on its own, but I think it could also be yummy with tortilla chips or even as a salsa with fish tacos, over grilled chicken, etc. No matter how you serve it, everyone will love it. Enjoy! This simple corn and blueberry salad has a pop of sweetness, a little cheese, and lots of yum. One bite and you’ll be hooked! 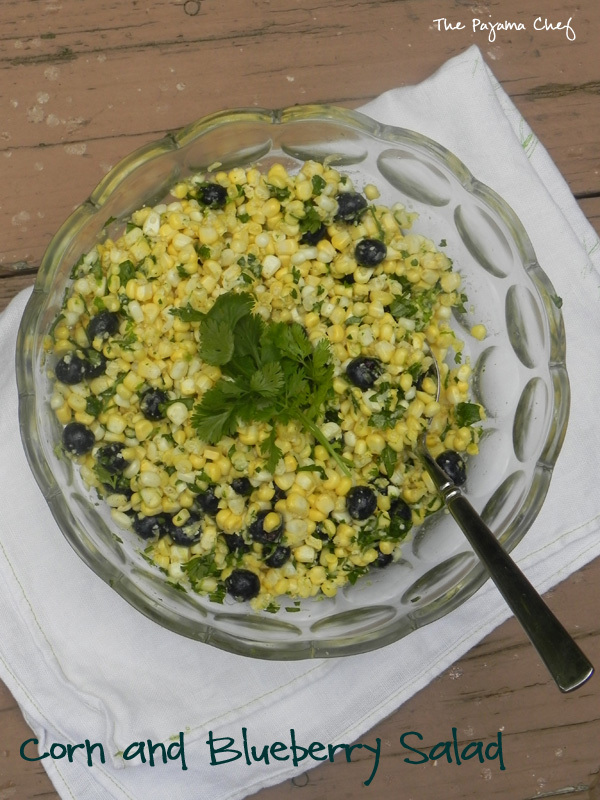 In a large bowl, stir together corn, blueberries, and cilantro. In a small bowl, whisk to combine oil, vinegar, and lime zest/juice. 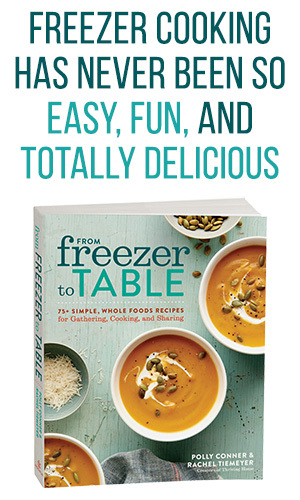 Cover and refrigerate for at least 60 minutes or overnight before serving to allow flavors to meld. 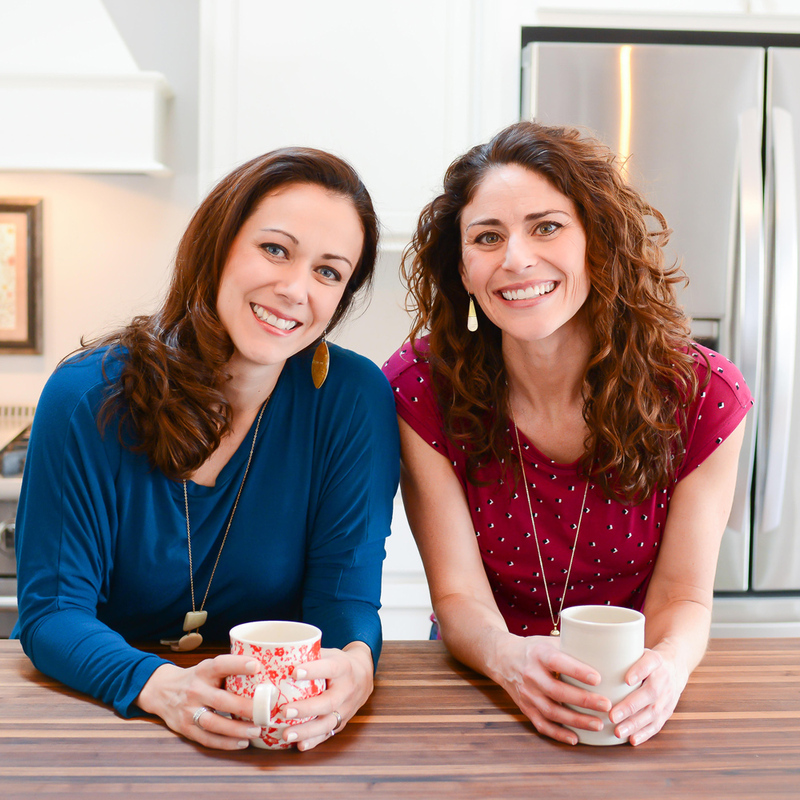 Sarah lives in Nashville, TN with her husband, Ben, and their three kitties. 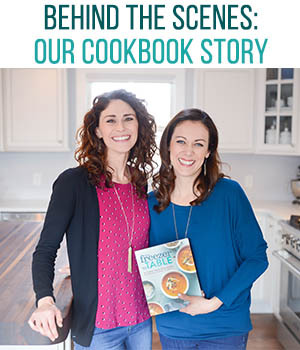 Sarah loves sharing her culinary adventures at The Pajama Chef, but she is also a librarian at a Christian liberal arts college. In her spare time, Sarah likes to run, read, and attempt DIY/crafty projects at home. 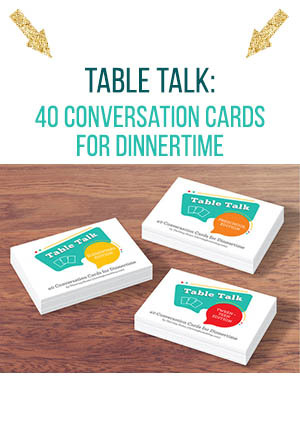 You can say hello to Sarah on Facebook, Twitter, Instagram, Pinterest, and Google +.